The Mi Casa Su Casa event saw individuals from various walks of life come together for a day of skateboarding and community. Recently arrived families from Syria joined the festivities and Academy hosted a Halal bbq to celebrate the end of Ramadan. Skate Class continues to thrive as Canada's first school-based skateboard option for middle school students in Red Deer, Alberta. With direct support from Academy, several skate classes have started across Canada. Including the class above in Hudson's Hope, BC. Participation in "Grow Boys" exposed over 600 grade 5 boys to Skateboarding in a single day. Skateboard lessons continued every Saturday of the season with a focus on mentorship, empowerment, and building positive community at the local skatepark. A visit to Ahousaht First Nations had us connect with local youth where Academy was able to supply skateboards for local programming being facilitated by the Get On Board Crew. 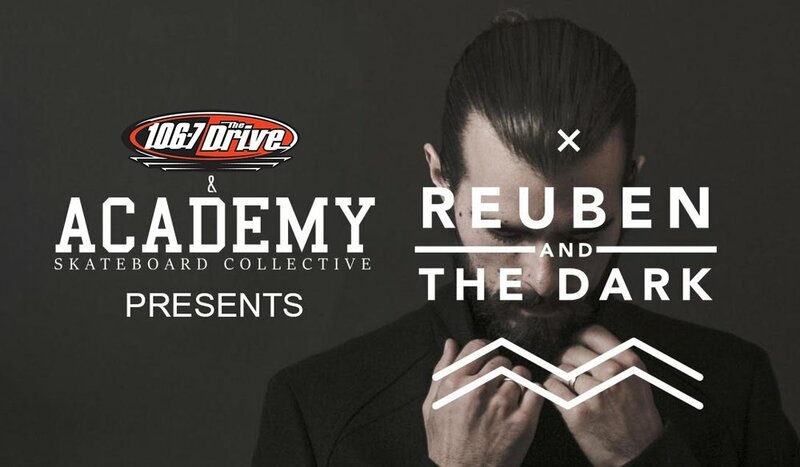 In partnership with Bo's Bar and Stage, 106.7 the Drive and Reuben and the Dark, a sold-out concert saw thousands of dollars raised that were essential in supplying equipment and resources for Academy to run its programming. Thank you to Reuben Bollock for his generosity and making the event possible. 2017 proved to be an amazing year for Academy Skateboard Collective as it has exposed countless avenues to develop and grow. It solidified the bond of a strong community of like-minded individuals who believe in the positive social change skateboarding and mentorship can provide. As a community, we move forward into 2018 motivated with increase our reach and involvement in grass-roots initiatives on a national level. Thank you to Supra Distribution, New Line Skateparks, Industry Snow and Skate, Reuben and the Dark, Central Alberta Skateboard Association, Central Alberta Refugee Effort, and Red Deer Public School District for your continued support as it is truly a community that makes any movement possible.